If you have spent a few years in the online world while promoting your business or selling products online, you must have been familiar with the term Content Marketing. It is anything and everything you do when putting words online on your blog, website or social profiles. 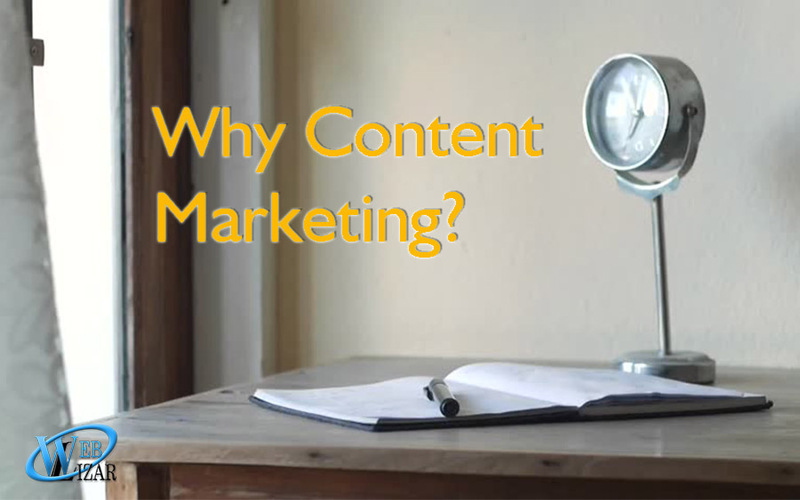 Content marketing is the need of the hour because in SEO world there is a very common saying that “Content Is King” because it drives traffic to your website and everything can be done if your website have traffic. 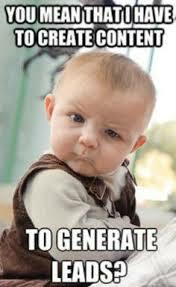 Your number one reason for using content marketing is to get people to your site or your salespage. You can either get them there free or by using paid ads. SEO will help you get them to your site for free. While in the past you could trick the search engines by keyword stuffing and back linking, those days are over. These days, search engine optimization has to start with quality content. True, you still need some keywords and backlinks to your site to do well in Google searches, but the days when just keywords and backlinks worked are long gone. Besides using your content to help the search engines like you, you also need it to get your visitors like and trust you. They need to get to know you, and for that you need blog post and/or videos. When people like you, they will visit again in the future, and you’ll be able to build up trust. Then when you sell something to them, they will be more likely to buy. 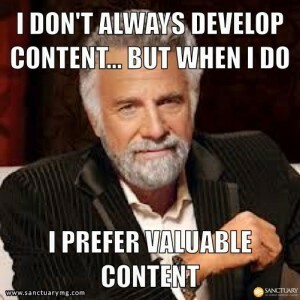 You also need content to encourage visitors to your website. I mentioned SEO before, but that’s not the only way to get people to your site. You can create a post on your Facebook page or an Instagram image which links to your site. For that you need content too, even if it’s just the minimum to create an infographic. People are on your site now, your content got their attention, now you need to create more content so you can generate leads. Create a guide or a useful checklist to collect email addresses. Once you have their email address you can notify them when you add new content to your site, or when you have something interesting to share. There are millions of websites out there, why should anyone buy from yours? You can’t just get them to your site and expect them to buy from you without trust. You need to connect with your readers. Show them that you know what they are going through or what they need, and deliver the solution. Guess how you do that. Exactly! Content! Your brand is your business and your business is you. You want people to connect your brand with trust, with quality. For that you need to have a consistent message that you send out in the world. You need to tell the world what you do, how you do it and why. 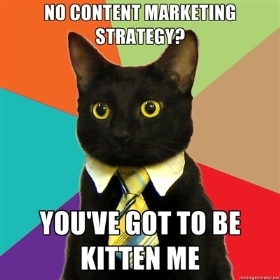 In other words, content marketing grows your brand. There is an art to writing product descriptions and articles that sell. But to make your sales content work at its best you’ll need to deliver it to your prospect when they are 100% ready to buy and that your sales funnel should be prepared to drive the user to your product. How do you know when that is? If you’ve been nurturing and tracking their progress using content marketing, then you’ll have all the information you need. Content marketing is no less than an opportunity to grab to promote your business or selling products or generating leads for that instance. It is way deeper than it seems, if used properly, you can achieve unimaginable results with proper content marketing strategy. And while you are still here, don’t forget to read out Content Marketing Trends for 2017.